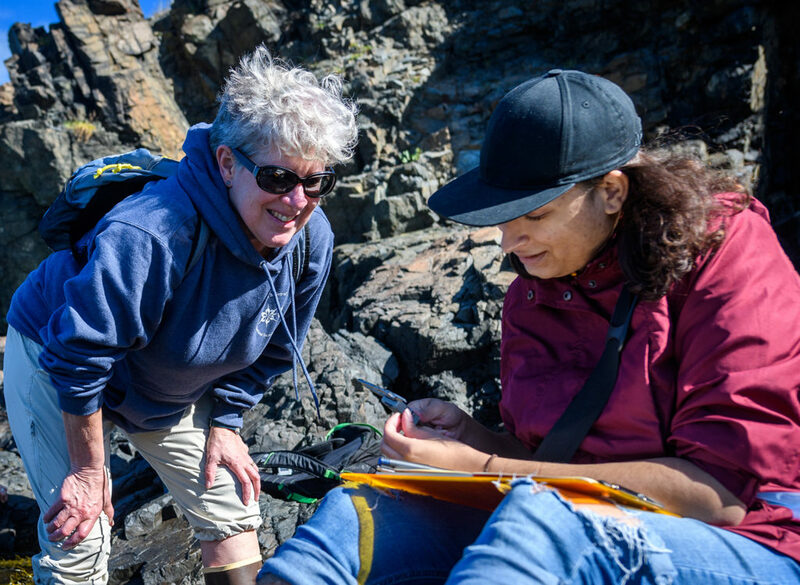 Professor Deborah Robertson continues her mentorship of budding marine biologists. This fall, she and students in her Ecology of Atlantic Shores class conducted research on the New England coast (above) and in Bermuda. In a feature story about the role that mentors play in the academic careers of young scientists, Nature, the international journal of science, highlighted Clark University alumna Hannah Reich ’15, M.S.’16, and Professor Deborah Robertson, Warren Litsky ’45 Endowed Chair in Biology. Reich, now a doctoral candidate in biology at Pennsylvania State University, recalled how the best mentors — like Robertson — share their professional connections. Hannah Reich dives amid the coral reefs of Bermuda in 2015. 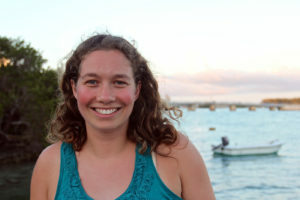 Thanks to Robertson’s collaboration with reef ecologist Gretchen Goodbody-Gringley, Reich conducted research in Goodbody-Gringley’s Reef Ecology and Evolution Lab at the Bermuda Institute of Ocean Sciences (BIOS) in 2015. A student in Clark’s Accelerated B.A./Master’s Program in Biology, Reich spent the summer scuba-diving and collecting samples of juvenile coral from shallow and deep reefs for her graduate research. “The collaborative and explorative approach to science championed by Deborah and Gretchen is something I have continued to follow during my doctoral research,” Reich told Nature. She said that her Penn State supervisor likewise encouraged her recent summer research with oceanographers and chemists in Taiwan. Clark researchers’ collaborations with BIOS go back to the 1960s, when legendary Clark biology professor Rudolph “Rudy” Nunnemacher began taking students to Bermuda on research excursions. That tradition continued with the late William Johansen, professor of biology, Robertson and Todd Lidvahl, a retired biology professor and now senior research scientist at Clark. This fall, Robertson accompanied students on a one-week research trip to Bermuda as part of her course on the Ecology of Atlantic Shores. 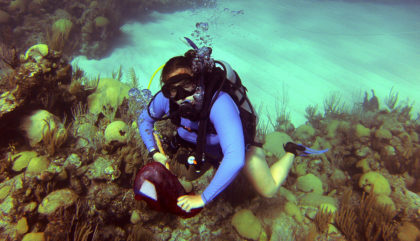 The trip provided students with a hands-on opportunity to study the ecosystem of Bermuda’s coral reefs. They compared their findings with what they had discovered earlier on a field trip to the rocky intertidal coasts near Boston. “Ultimately, excellent mentorship boils down to thinking ahead and supporting students, especially when they are exploring uncharted waters,” Reich told Nature. And that’s something that she and Robertson’s current students have gotten plenty of chances to do.